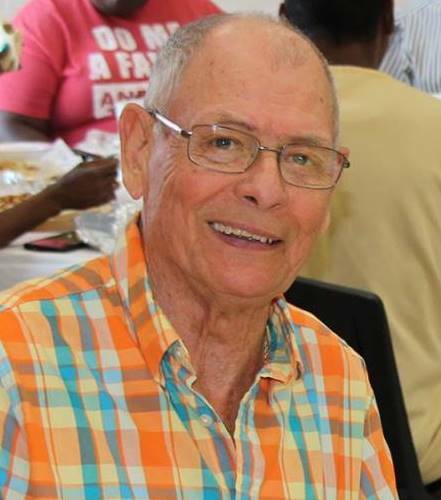 On Thursday, May 18th, at 2:00 pm, we have scheduled a book signing for Mr. Pat McLeod at the VVHS Library. 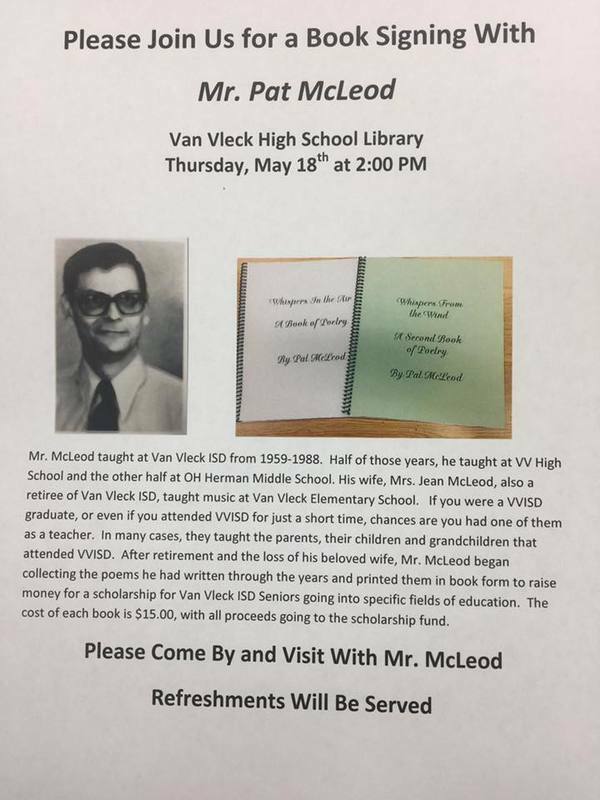 Mr. McLeod is a retired VVISD teacher that has been writing poetry for many years and has recently organized them in the form of 2 books that he is selling, with all profits going toward scholarships for VVHS Seniors pursuing specific fields of education. The books are $15.00 each.